Learn how to easily build secure, cloud-connected data-driven mobile apps using AWS Amplify, GraphQL, and mobile-optimized AWS services. 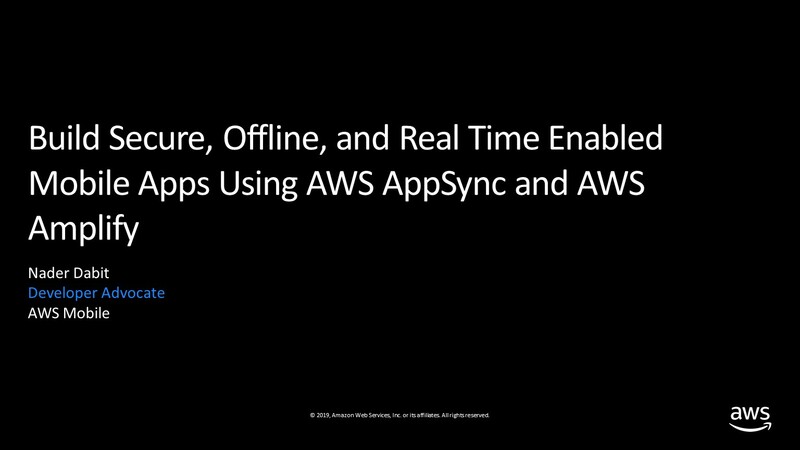 In this tech talk, you'll learn how to optimize your application development process by leveraging the latest features in AWS AppSync and AWS Amplify. We will also provide some of the common use cases and design patterns to build secure applications and discuss best practices for authentication and authorization in AWS AppSync.